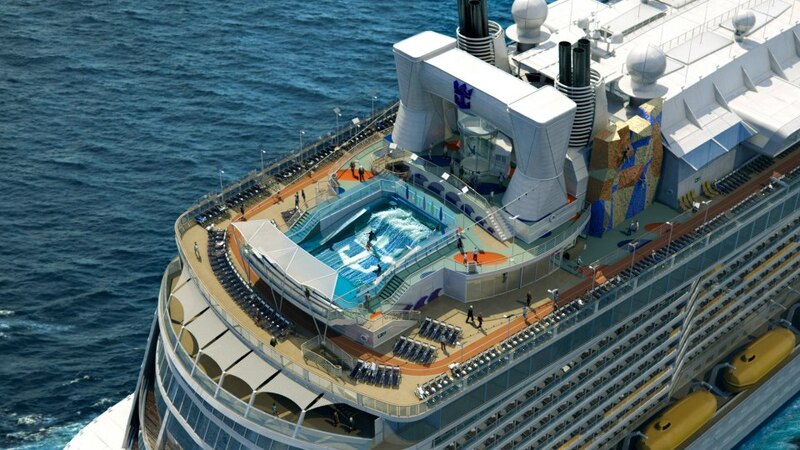 Royal Caribbean announced yesterday that the second ship in the Quantum class Anthem of the Seas will be joined by two other ships in the summer of 2015. Anthem of the Seas will make its debut in Europe in April 2015 and will be sailing out of Southampton in the UK. But guess what? The new innovative ship will be joined by Adventure of the Seas, Serenade of the Seas and Brilliance of the Seas too. As the cruise line has previously announced Serenade and Brilliance will also be sailing from Southampton. Bookings for Anthem of the Seas inaugural cruises are about to open and are expected to sell out fast as the ship is set to be one of the most innovative ever build along with its sister ship Quantum of the Seas which will be launching later this year. Both ships are currently being built at the Meyer Werft shipyard in Papenburg, Germany. Anthem of the Seas bookings will be open first for Crown & Anchor Society loyalty members starting from February 26th 2014 and that will only be for the summer sailings. The ships winter sailings will be available from March 12th 2014 also only for Crown & Anchor Society loyalty members. For everyone else the summer 2015 sailings will be available from March 3rd 2014 and then the 2015-16 winter sailings on March 20th 2014.